Week 3 was another rough one, and I need to get the season turned around before I turn into the Broke Rambling Gambler. Luckily, there's lots of football left, and since I've been surviving on my small number of winners. Along with picks, how you bet is extremely important; a 2-4 week could still be profitable for you, if you were most confident in your two winners. Let's recap last weeks picks. San Diego -5.5 OVER Seattle: What in the world is going on in Seattle? They're jeopardizing my under pick on their win total. On paper, San Diego should have rolled, but I suppose I forgot to account for their history of slow starts. San Francisco - 1.5 over KANSAS CITY: This one hurt. The Niners are a disaster at this point. I'm staying away until I see them against Atlanta... Jimmy Raye kind of seems like a crazy old man at this point, so I feel like they might actually improve without him. 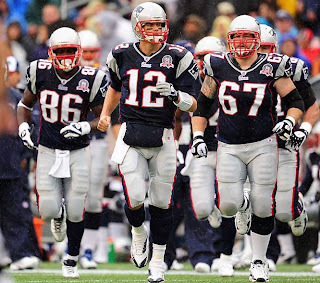 NEW ENGLAND -14 over Buffalo: New England's secondary is a big concern at this point. I don't think anyone envisioned them being down, at home, to the Bills. They actually managed to cover midway in the fourth, and then they let a long pass go for a TD to blow it. Green Bay -2.5 over CHICAGO: An astounding display of self-destruction put on by Green Bay on MNF. This will probably serve as a wake up call, and I like them against the Lions this week. Cincinnati -3.5 OVER Carolina: A fairly stress-free win, and the Bengals are 2-0 ATS after getting massacred in week 1. They're still not getting enough respect, and are an excellent pick this week against the Browns. Philadelphia -2.5 over JACKSONVILLE: This spread sure looks silly after the beatdown Philly laid down last week. Michael Vick is legit. And now, on to this week's picks. Injuries are starting to plague the Lions. With Stafford and Burleson out, and Jahvid Best dealing with a turf toe injury, this offense will slow down. They couldn't do anything against the Vikings last week, and Green Bay's defense is even tougher. Detroit has a lot of potential, especially on offense, but they need to get healthy before they win a game. Despite the loss to Chicago, the defense (penalties aside) played quite well; Forte was held to 29 yards on 11 carries, Cutler only threw for 221 and took 3 sacks, and the Pack should have had some more INTs. Penalties destroyed them, and I really doubt they'll do that again this week. This has the makings of a blowout, as the spread would indicate, and Green Bay should have this covered by halftime. If you're worried about Detroit covering in garbage time, a la Philadelphia, then take the first half line (8.5). Don't let last week fool you- that game was a product of New England's secondary playing terribly. The Jets do not have the same issue, obviously. Miami (11th ranked D) and Green Bay (2nd ranked D), demonstrated that Buffalo cannot overcome a good defense, with Miami allowing 10 points, and the Packers allowing 7. The Jets come in as the 20th ranked defense (based on total yards), but this is deceptive as they have faced the 6th most plays from scrimmage (202). What does this tell us? Well, the offense struggled against Baltimore and a bit against New England, and they did not control the ball. Sanchez looks like he may be getting into a bit of a groove, and if he continues that trend, the Jets will become a lot more dangerous. A win here gives them a 3-0 record in the division, so they'll be motivated. This line opened at 4.5 and has already moved a point. The Bengals apparently don't get much respect. The money has moved against them the past two weeks, and they are 2-0 ATS. The money is moving slight towards Cleveland so far this week (Bengals -3.5 is paying even money, last I looked), and I have to be honest, I don't understand. The line is probably due to the Browns keeping last week as a one-score game, and Peyton Hillis breaking out against a tough run D. Maybe the Ravens had a bad day, or maybe the Browns had a good day, but it doesn't really matter. Looking at the numbers, you may not know that Baltimore is actually ranked 22nd against the run. The Bengals are 13th against the run. Moreover, they held Carolina 87 yards last week. With the pass defense clicking (11th overall), and the Browns lacking weapons in the passing game, look for Cincy to load the box and neutralize Peyton Hillis. He will likely grind out some yards, but he's not about to drop 144 again. 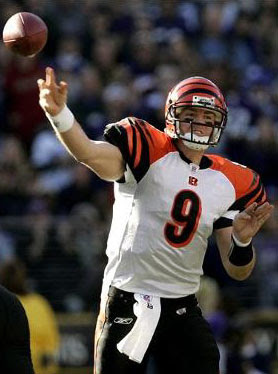 This should be another slow, steady, easy cover for the Bengals. Ok, so I said I would lay off Pittsburgh after going against them in weeks 1 and 2. I managed to stay away last week, but here I am again, trying my luck at figuring out when they're going to lose. This is a big division game for both teams even though it's early in the year. My thinking on this one is that Baltimore is by far the best defense that the Steelers have faced (Atlanta, Tennessee, and Tampa don't strike me as defensive juggernauts). About one paragraph ago, I pointed out Baltimore had the 22nd ranked run defense. While this is true, offensive line is an important consideration here. Per an interesting statistical breakdown on NFL.com, the Browns actually have the 8th ranked offensive line, which makes a lot of sense, given the talent on that line. The Steelers come in with the 25th ranked line, which also makes sense, given that injuries decimated their line. While they do have the 3rd ranked rushing offense, they haven't exactly played great run defenses... Atlanta, Tennessee, and Tampa come in at 12th, 17th, and 28th through three weeks, respectively. In brief, this is pretty much the same analysis as my previous picks against Pittsburgh- the o-line is hurt, their QB is hurt, and it's going to cost them a game. Maybe I'm like a moth to a flame here, but I think Baltimore takes it outright on the road. This one seems easy to me. Jacksonville cannot generate any offense. The Jags are so fed up with Garrard that they picked up Trent Edwards off waivers. When your team is picking up a QB that was discarded by Buffalo, you're in trouble. Currently they're the 27th ranked passing offense, and they've put up 278 yards in TWO weeks. Moreover, their secondary is giving up 289 yards per game, ranked 29th in the league. I'm not thinking much more about this. San Diego rolled 38-13, Philly rolled 28-3, and Indy should do something similar. Jacksonville is beginning to look like the worst team in football and they won't do anything to change that image this week. New Orleans is 0-3 ATS this year, so I have to admit, this one worries me a bit. It's definitely my least favorite out of the six, but I like it more than any of the other games remaining this week. Jimmy Clausen has a long way to go before he'll be leading the Panthers to victories over quality teams, and this should be the game that gets the Saints back on everyone's radar. Carolina has an average defense (14th) and a terrible offense (31st). The Saints defense actually hasn't played that bad, generating 6 turnovers through 3 games, and have allowed 17.3 points per game. The run D has been poor so far (30th), but Carolina is without their best offensive lineman, Jeff Otah. The lack of a passing game will also allow the Saints to load the box and shutdown the run. As long as the New Orleans offense gets things going this week, they should cover. Trevor Pryce had flashbacks as soon as he got to the New York Jets’ facility. There were familiar faces everywhere: Rex Ryan, his old defensive coordinator in Baltimore, former Ravens assistants Dennis Thurman and Mike Pettine, and linebacker and buddy Bart Scott. The Jets signed Pryce on Thursday, reuniting the former Ravens defensive end with Ryan & Co. a day after Baltimore cut him. Pryce didn’t even need to tell his agent where he wanted to go. Pryce will get a chance to make an immediate impact in New York’s game at Buffalo on Sunday primarily in passing situations. He ranks fourth in sacks among active players with 90, but had no tackles this season. 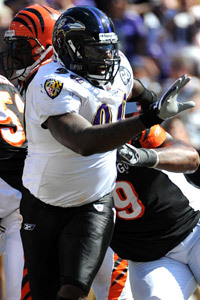 The 35-year-old Pryce has not started any of Baltimore’s three games, but is expected to help New York’s pass rush. Ryan said the team released defensive lineman Howard Green to make room for Pryce, but hoped to have Green back soon. Pryce, a 14-year veteran, was a four-time Pro Bowl selection with Denver and played under Ryan in Baltimore for three of his four-plus seasons there. He was waived Wednesday by Baltimore to make room for safety Ken Hamlin. Ravens coach John Harbaugh said it was likely the team would re-sign him, but the Jets pounced first. Pryce said he was jogging with his wife when he got a call from his agent telling him he needed to head to New York. Scott, who left Baltimore to sign with the Jets as a free agent before last season, knows firsthand of the effect Ryan has on players. Pryce was given a tour of the Jets’ facility by Ryan, owner Woody Johnson and general manager Mike Tannenbaum during the media’s locker room availability. As he entered the press conference room, Pryce looked around and smiled. The Jets were in need of some depth on the line after losing Ropati Pitoitua and Kris Jenkins to season-ending injuries. The move to bring in Pryce might also allow the Jets to leave Vernon Gholston primarily at outside linebacker until Calvin Pace returns from a broken right foot suffered in the preseason. Pryce already played against the Jets in Week 1, when the Ravens held on for a 10-9 win. The 6-foot-5, 290-pound Pryce was a first-round pick of the Broncos out of Clemson in 1997 and was a part of two straight Super Bowl championship teams in 1998 and ’99. He was also selected to the Broncos’ 50th anniversary team last year. 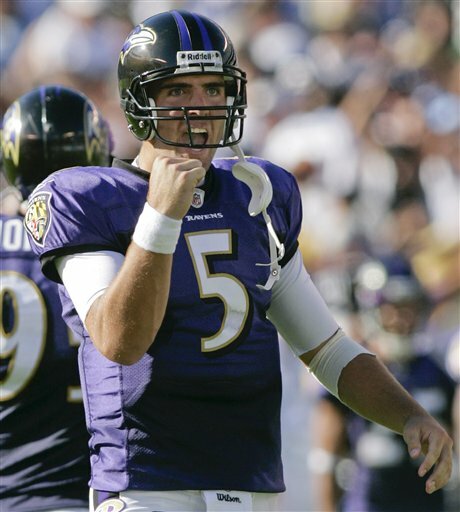 Pryce signed with Baltimore in 2006, and had a career-high 13 sacks in his first season under Ryan, then the Ravens’ defensive coordinator. Darrelle Revis got angry as he watched Brandon Marshall make catch after catch against the New York Jets. While his team was in Miami playing the Dolphins last Sunday night, the All-Pro cornerback was back home in New Jersey unable to do anything to help. Life without Revis has been just as difficult on the Jets’ defense. Revis strained his left hamstring in the first half against New England in Week 2, missed last week’s game and coach Rex Ryan announced the cornerback will stay behind again when the team travels to Buffalo. Tempering the disappointment is the fact the Jets have won both games in which Revis has missed time. The Jets certainly can’t wait to get him back to stabilize their secondary, but they are being cautious with perhaps their best all-around player. Revis is hopeful he’ll be able to play against Minnesota on Monday Night Football in Week 5. Antonio Cromartie has stepped into Revis’ spot at left cornerback and been OK at times, and shaky at others. Marshall had eight of his 10 catches while going up against Cromartie last Sunday. Meanwhile, rookie Kyle Wilson has struggled and it appears he’ll be replaced by veteran Drew Coleman in the starting lineup. Wilson would then be able to concentrate on playing in nickel packages, as was originally the plan when they drafted the former Boise State star in the first round. Wilson has been picked on throughout the Jets’ first three games, and has struggled mightily at times. He was called for a 27-yard pass interference penalty that helped set up the Dolphins’ first touchdown. Ryan and defensive coordinator have not lost confidence in Wilson, but think Coleman has earned an opportunity to start—or at least have some significant playing time in Revis’ absence. 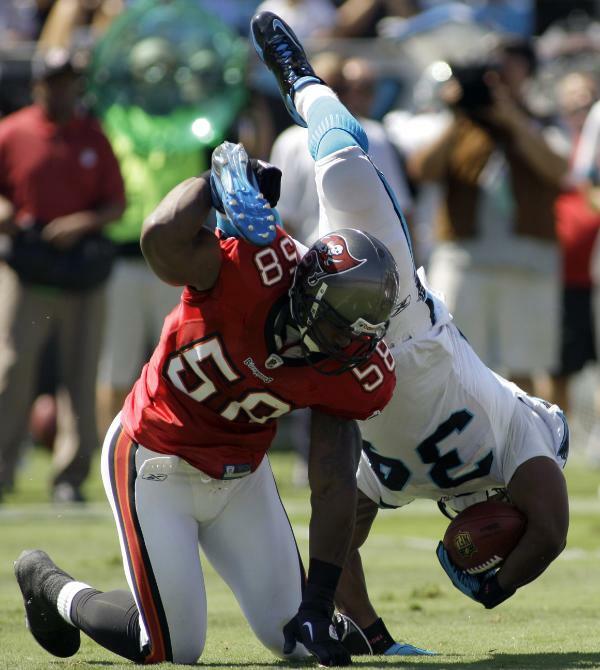 Coleman had the victory-sealing interception against the Dolphins. That’s clear from the 824 yards passing the secondary has given up, as well as the 20th overall ranking—including 27th against the pass. The Jets are also second-to-last in stopping opponents on third down. Ryan has blamed the poor performance in the secondary on a breakdown in communication, with three new players—Cromartie, Wilson and Brodney Pool— learning to play with each other. Defensive backs coach Dennis Thurman challenged his squad Wednesday to improve quickly. Ryan and Pettine have acknowledged that having a player the caliber of Revis in the secondary allows them to take full advantage of their aggressive defense up front. The lack of full-out blitzes has been another casualty of Revis being sidelined as the Jets have only five sacks this season—a reason they signed Trevor Pryce on Thursday. “You take the best corner in football off the field, there’s going to be a dropoff to the next guy,” Pettine said. “It’s changed some things we’ve been able to do, but we’ve got to get it done without him. Broncos RB Knowshon Moreno is expected to miss a second consecutive week with a pulled hamstring, according to the Denver Post. Moreno, who had recently recovered from a right hamstring injury, played in Denver's first two games before injuring his left hamstring. The second-year back suffered the injury in practice prior to Denver's Week Three loss to the Colts. He will be replaced by RBs Laurence Maroney and Correll Buckhalter. The Broncos have yet to show they can run the ball effectively, with or without Moreno. While the absence of Moreno, who is gaining 70 yards per game, will still be felt, the Broncos have yet to reach 100 yards on the ground with or without the former University of Georgia star. Last week, Maroney and Buckhalter combined for just 36 yards. 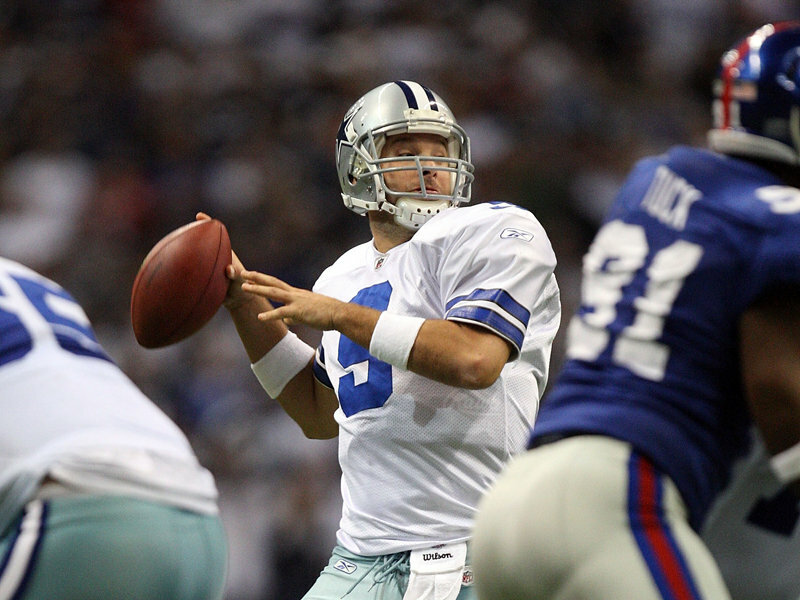 QB Kyle Orton added 11 rushing yards, bringing the team total to 47 yards. With Maroney still recovering from a thigh injury and the aging Buckhalter reaching the end of his career, Denver needs Moreno back — and 100 percent healthy — to run the ball effectively. The hits keep coming for the Arizona Cardinals. Wide receiver Steve Breaston, who is hoping to get the kind of financial commitment from the team that Anquan Boldin could not secure, will miss at least the next two games after undergoing surgery to repair a torn meniscus in his knee, according to Mike Jurecki of XTRA Sports 910 in Phoenix. 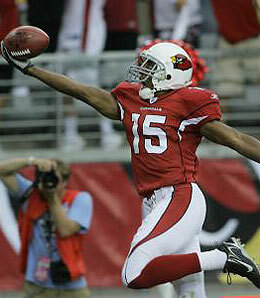 Breaston is the team’s leading receiver to this point as the passing game – and offense in general – is bogged down. The Cardinals are at San Diego this week and then host New Orleans in a rematch of the NFC divisional playoff game from last season. Then, they have their bye Oct. 17 with everyone pointing to Oct. 24 at Seattle as a potential return date. That, of course, is if everything goes according to plan. Top wide receiver Larry Fitzgerald had a knee injury in preseason and third receiver Early Doucet has been hampered by a sports hernia. 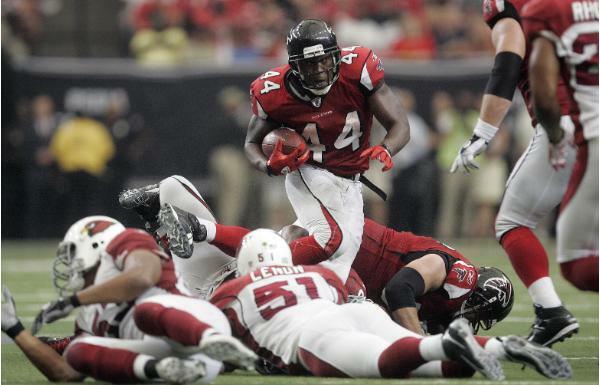 The Cardinals could turn to rookie wide receiver Stephen Williams. The undrafted product from Toledo was impressive during preseason, particularly in the third exhibition at Chicago. Williams has good size at 6-5, 208 pounds, and he uses his frame well. He caught 223 passes in his final three seasons in school and could be the latest find for the Cardinals at a position they consistently are loaded. Through three games, Vikings running back Adrian Peterson has outperformed Titans running back Chris Johnson. Peterson is the NFC offensive player of the week, based on gaining 160 yards rushing on 23 carries in a 24-10 win over the Lions. His two touchdowns included an 80-yard burst to paydirt. It's his fourth offensive player of the week award, and his first since November 9, 2008, when he gained 192 yards against the Packers. Showing just how frustrated they are with quarterback David Garrard, the Jacksonville Jaguars claimed former Buffalo Bills starter Trent Edwards off waivers Tuesday. Edwards is expected to sign a contract Wednesday morning and join his new teammates at practice later in the day. The Jaguars waived linebacker Alvin Bowen to make room for Edwards on the roster. The move gives Edwards a fresh start after things went south in Buffalo and provides Jacksonville with a viable option behind Garrard. Edwards started the first two games for Buffalo this season, completing 29 of 52 passes for 241 yards and a touchdown. He also threw two interceptions and lost both games, prompting coach Chan Gailey to turn to Ryan Fitzpatrick to spark an inept offense. With Fitzpatrick under center, the Bills managed 374 yards—more than Edwards mustered in his two starts. Gailey released Edwards on Monday. Edwards could get a second chance in Jacksonville, especially if Garrard continued to perform like he has the last two weeks. Garrard threw four interceptions and was benched in a 25-point loss at San Diego. He was even worse Sunday at home, completing 13 of 30 passes for 105 yards and an interception in another 25-point loss to Philadelphia. He also was sacked six times and botched a pitch to Maurice Jones-Drew. Coach Jack Del Rio said Garrard seemingly lost confidence following the sixth loss in his last seven starts. He also made it clear how he felt about his quarterback’s play. “As long as he’s our best option, we’ll continue to go with him,” Del Rio said Monday. Those sentiments are not really new. Del Rio and team owner Wayne Weaver challenged Garrard in January. Del Rio called Garrard a “second-tier quarterback,” and Weaver said he needed to be more accountable and spend more time working with the team’s young receivers. Garrard responded with what coaches and teammates called his best offseason. He even threw three TD passes in the opener. But poor decisions, bad throws and costly turnovers plagued him the last two weeks. Jacksonville had few options, too. Backup Luke McCown replaced Garrard in San Diego, but tore a knee ligament late in the game and was placed on injured reserve. The Jaguars signed 38-year-old Todd Bouman, but only went with him because he spent the 2008 and 2009 training camps with them and knew the offense. Edwards’ arrival could signal the end of Garrard’s tenure in Jacksonville. Garrard signed a six-year, $60 million extension in 2008. It was the richest contract in franchise history and included $18 million guaranteed. 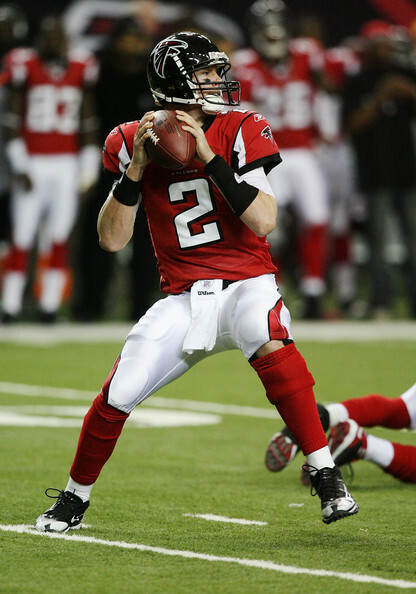 It also was a reward for 2007, when Garrard emerged as a legitimate starter, threw 18 TD passes, just three interceptions and led the team to its first postseason victory since 2000. But Garrard has been mediocre since. He had 15 TD passes and 13 INTs in 2008, and the Jaguars won five games. 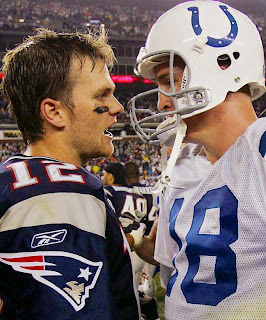 He had 15 TD passes and 10 INTs last year, and they won seven games. He was sacked 42 times in each season. Edwards has thrown for 5,739 yards, with 25 TD passes and 27 INTs. 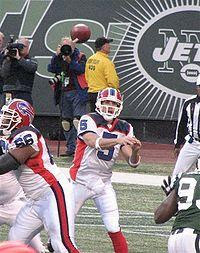 Edwards, a third-round draft pick by Buffalo in 2007, started 32 games for the Bills. He has thrown for 5,739 yards, with 25 TDs and 27 INTs for a 76.8 passer rating. Mike Tomlin probably wishes his quarterback decision had been this easy all season. Charlie Batch, buried so deep on the Steelers’ depth chart that he barely practiced during training camp, will start Sunday’s AFC North game against Baltimore. Batch hasn’t started successive games since midway through 2005, when Ben Roethlisberger had a right knee injury. Batch started Sunday at Tampa Bay only because Dennis Dixon had left knee surgery last week and Byron Leftwich was recovering from a left knee injury, yet he completed 12 of 17 passes for 186 yards and three touchdowns—his first scoring passes since 2007. Leftwich, expected to start throughout Roethlisberger’s four-game suspension, is healthy, but Tomlin said Tuesday that Batch earned the right to remain in the lineup. He did it through his play—he’s 4-1 as a fill-in starter since joining the Steelers in 2002—and through his perseverance. Batch played only one game the previous two seasons due to injuries, and his perceived fragility was partly why Tomlin started the inexperienced Dixon in the first two games. Batch declined to criticize the decision, nor did he complain when it seemed likely the Steelers (3-0) would cut him before Leftwich was hurt in the final preseason game Sept. 2. Tomlin isn’t second-guessing his decision to start Dixon during tight victories over Atlanta (15-9) and Tennessee (19-11), even though Batch threw for Pittsburgh’s first three TD passes of the season. Batch also looked more polished and comfortable than Dixon. Dixon will be out for up to six weeks, but the Steelers don’t plan to put him on the injured reserve list. Roethlisberger is eligible to return to practice next week, when the Steelers have a bye. He will start Oct. 17 against Cleveland. Tomlin won’t dispute that his players’ determination to prove their season wouldn’t be derailed by Roethlisberger’s four-game suspension has played into their 3-0 start. The Steelers can go 4-0 for the first time since 1979 by beating the Ravens (2-1), who have lost nine of their last 10 at Heinz Field. While the Steelers’ unbeaten record is largely the result of a defense that hasn’t allowed a touchdown in the first three quarters, Baltimore’s defense is No. 1 overall. Pittsburgh is No. 6, dragged down partly by a No. 17 ranking against the pass. The Ravens are No. 1 against the pass, but only 23rd against the run after allowing Cleveland’s Peyton Hillis to run for 144 yards during Baltimore’s 24-17 victory on Sunday. The status of backup nose tackle Chris Hokes (sprained knee) and right guard Trai Essex (ankle) will be determined later in the week. Essex was replaced against Tampa Bay by Doug Legursky, who made his first NFL start. Chan Gailey needed to see Ryan Fitzpatrick put some life into Buffalo’s anemic offense just once before deciding Trent Edwards was expendable. The Bills waived Edwards in a surprising move Monday, a few weeks after Gailey said he saw “light at the end of the tunnel” with Edwards as his starter. With Fitzpatrick the starter, Brian Brohm moves into the backup role. Although the Bills lost Sunday, Fitzpatrick picked up the offense with 247 yards passing and 374 total yards—producing more offense in one game than Edwards managed in his two starts to open the season. Edwards was in his fourth season after being selected by the team in the third round of the 2007 draft and eventually replaced J.P. Losman midway through his rookie season. He went 14-18 as a starter. Edwards was benched the day after going 11 of 18 for 102 yards and two interceptions in a 34-7 loss at Green Bay on Sept. 19. He showed little improvement a week after going 18 of 34 for 139 yards and a touchdown in a 15-10 loss to Miami. It marked the second time he lost the starting job to Fitzpatrick in consecutive seasons. Gailey wouldn’t place all the credit for the offensive improvement on the quarterback change, but noted the unit was more effective under Fitzpatrick. “It wasn’t just one thing, but I think that Fitz did go in and play fairly well,” Gailey said even though Fitzpatrick threw two interceptions. Players were caught by surprise, many learning of Edwards’ release as it was broadcast in the locker room on a TV sportscast before team meetings. Fitzpatrick was informed of the decision by Gailey, but that didn’t make it any less surprising. Edwards was spotted briefly outside the locker room shaking hands with several players. Edwards then went into the nearby equipment room and did not comment on his release. Gailey acknowledged he is open to second-guessing after how quickly Edwards went from starter to being cut. The Bills plays the New York Jets (2-1) on Sunday. The Cowboys bye week comes at a good time. Tight end Jason Witten suffered a sprained MCL in Sunday's win over the Texans, although the Cowboys expressed optimism that Witten won't miss any playing time with the Cowboys off this week. 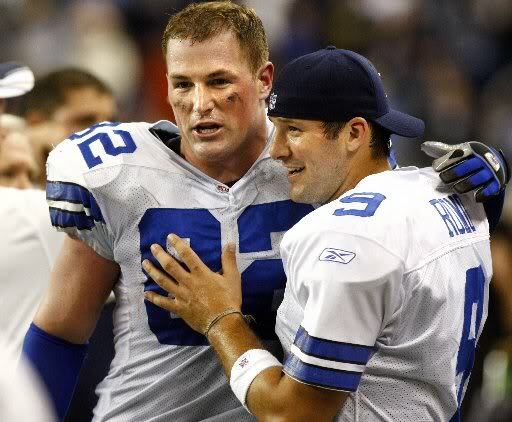 "I don't think there's much doubt that Witten will be able to play. He may not be able to [practice] this week," coach Wade Phillips report. A Fort-Worth Star-Telegram report indicated that starting guard Kyle Kosier would miss four weeks, but Phillips doesn't think Kosier will be out that long. "I think Kosier is right in that two-week span. Now that's preliminary. That's not a doctor report," Phillips said. Ravens running back Ray Rice left Sunday's game in the fourth quarter with a knee injury, and then left the stadium on crutches. That had a lot of folks worried in Baltimore, but Mike Preston of the Baltimore Sun writes that Rice was forced by the Ravens' medical staff to use the crutch, and didn't really need it. Ravens coach John Harbaugh said initial test results showed no ligament tear for Rice. 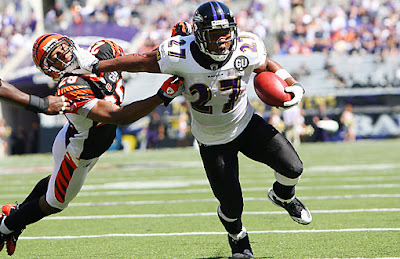 The running back will undergo an MRI on Monday to find out what's wrong. Willis McGahee replaced Rice on Sunday. If McGahee was truly still available in a trade, we'd have to think Ravens G.M. Ozzie Newsome would want to hold on to him now. 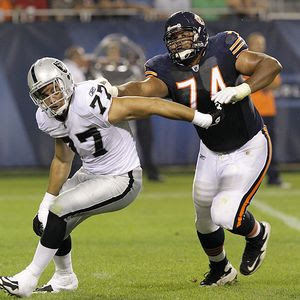 The Chicago Bears will be without starting left tackle Chris Williams on Monday night when they host the Green Bay Packers. The former first-round pick left last Sunday’s win at Dallas with a pulled right hamstring after the first series. He underwent an MRI on Tuesday and the hope is he will be back in less than a month. Without Williams, the Bears are expected to start Frank Omiyale at left tackle. The line stabilized after he moved there from right tackle against the Cowboys. That means veteran Kevin Shaffer will start at right tackle. He’s made 91 career starts but will face a formidable challenge from Packers outside linebacker Clay Matthews. Bears coach Lovie Smith also ruled rookie safety Major Wright out. He suffered what sources called a “bad” hamstring pull in Dallas and could be sidelined for the remainder of the first half of the season. Wright was on the verge of winning a starting job and that makes his loss a considerable setback. He had been splitting time with veteran Chris Harris at free safety. Another week down, and it was another tough one... a couple of good wins, a couple bad losses, and a good push. TENNESSEE-5.5 over Pittsburgh: I'm done with Pittsburgh. Looks like the defense can cover a spread by itself. Philadelphia -6 over DETROIT: Up 35-17 in the fourth quarter, and the D checks out for the game. Terrible loss. New England -3 over NEW YORK JETS: Rex Ryan likely takes consolation in knowing that while the Jets won't win the Superbowl, they keep beating New England. This surprised me. I expect the Patriots to come out ready to destroy Buffalo this week. CINCINNATI +2 over Baltimore: Well, this one made me look good. 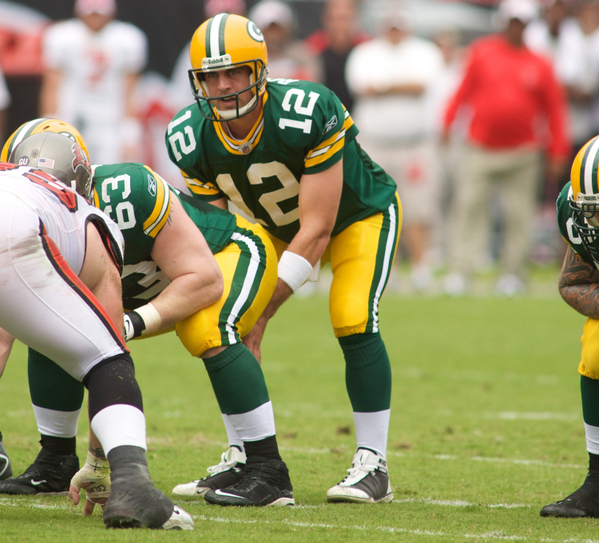 GREEN BAY -13.5 over Buffalo: A slow start for the offense, but this was an easy cover. Houston -3 over WASHINGTON: This almost makes up for Philly. What a comeback by Houston, down 27-10. Can't stop that offense. Well, time to try picking San Francisco again. The same team that got rolled 31-6 by Seattle takes the Saints down to the wire, while commiting 2 red zone turnovers and giving up a safety. Talk about confusing. The Seattle loss shocked everyone, and I think this past week gives us a better idea of what San Francisco is capable of. They are playing on the road, which is a bit of a concern given the communication issues the Niners had in Seattle. Kansas City, however, has looked so anemic on offense that I think it makes the small spread attractive. Yes, there is a chance the Niners may not show up, but if they can play anywhere close to how they played on Monday night, this will be an easy cover. Time for the second stop on the "Watch the Bills get massacred" road trip. This should play out quite similarly to the Green Bay game, except Ryan Fitzpatrick is quarterbacking the Bills this time. It won't really matter, as he is not an upgrade over Trent Edwards. The offense will continue to struggle (17 points in 2 weeks! ), and we will continue to see double digit spreads for most teams facing the Bills. I say keep betting against the Bills until they run into a team that doesn't play defense.In case that doesn't convince you, the early money has been all over this line... Opened at 12.5. Another pretty straightforward pick in my mind. We just saw Cincinnati contain Baltimore's offense without too much trouble. The Panthers sport a much weaker offense, already having benched Matt Moore and are giving Clausen the start this week. Jimmy didn't show much against Tampa Bay (59 yards, INT) and I doubt he'll be able to get much done against the Bengals' pass defense. Through two weeks, the Panthers have the 22nd ranked defense, giving up 324.5 yards per game. The matchups in this game complete favor Cincy. Bet on them with confidence. The Michael Vick experiment is now permanent. Despite saying Kolb will be the starter, Vick's play over two weeks has forced him to the bench. In about 6 quarters, Vick has thrown for 459 yards, 3 TDs, and even more impressively, 0 INTs and he's completing 63.8% of his passes, which is about 10% better than his career average. Aside from the numbers, if you've seen him play these past two games, he's got everything going; video game-like moves to escape pressure and he's outrunning people when he decides to run. Jacksonville's defense won't slow down Philly's offense. Moreoever, Jacksonville looked awful against San Diego, and there was talk of the QB being benched in favor of Luke McCown, until Luke tore his ACL. 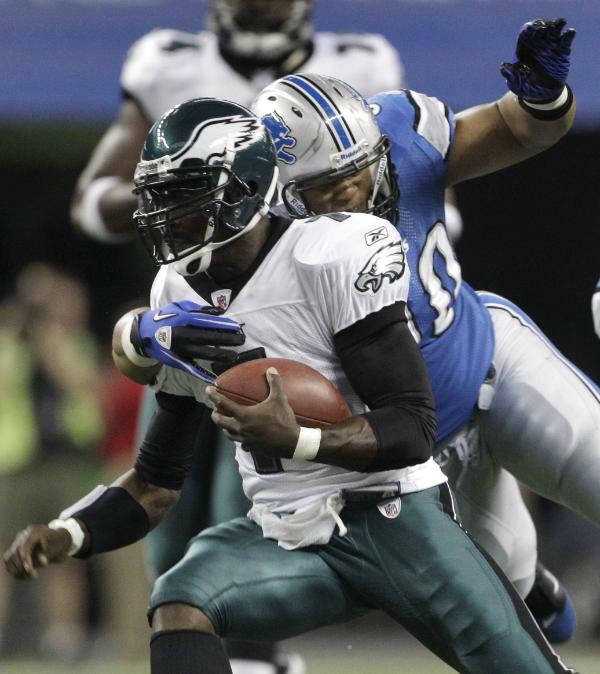 Maybe people are afraid MJD will run over the Eagles, a la Jahvid Best, but I'm not concerned. Philly should roll in this game. Seattle looked lifeless last week, and rookie Russell Okung is out again in week 3, which means it will be another long day for the Seahawks' offense. I don't think anyone really knows what happened in week 1, but I'm pretty sure it was a fluke. If you've read my over/under series, you already know I think Seattle will be a disaster this year, and I'm sticking to it. Hasselbeck threw 3 INTs last week, and San Diego can obviously create turnovers after getting 6 against Jacksonville. Seattle has yet to establish a running game, so there's not a lot to like. I'm envisioning another blowout win for SD. For fans of the rock-scissors-paper theory, Denver beat Seattle, Jacksonville beat Denver, and San Diego beat Jacksonville, so there you go. Chicago surprised most people last week, upsetting Dallas, in Dallas, coming in as a 7 point dog. This will be a tough game, and you can already argue its a huge game within the NFC North as both teams are 2-0, with Minnesota and Detroit sitting at 0-2. I'm mostly going with my gut on this one, as the teams seem pretty evenly matched on paper... So far in 2010, Green bay comes in with the 15th ranked offense and 3rd ranked defense, while Chicago has the 5th ranked offense and 12th ranked defense. The loss of Ryan Grant (and Brandon Jackson's ability to run against Buffalo) concerns me to some degree, but I think Green Bay will need to air it out against the Bears regardless, as the Bears are ranked #1 against the rush so far. This game is going to come down to turnovers and big plays, which leaves me looking at the quarterbacks. I find Rodgers and the Packers offense to be more explosive and make fewer mistakes, so I'm taking the Pack minus the points. The first edition of the 2010 Cumulative Football ERA Formula results are listed below with the usual cautionary disclaimer that these are NOT Power Rankings. From here on out, we primarily have to look at how teams change within the Rankings rather than looking at the Rankings alone as a raw result. In fact, because of Atlanta's big splash as a result of their performance against the Cardinals, their overall cumulative total will mask their week to week performance to some degree for a few weeks---exaggerating their performance by way of their high position on the list. Position, however, is neither the best nor the sole criteria of analyzing the list as much as is observing change in the list (the first derivative). In other words, how teams rise and fall from week to week during the long season is a more primary criteria for evaluating performance. Eight years ago, after conducting some interviews on a warm August afternoon at Raiders training camp in Napa, Calif., I got a call from my new boss at Sports Illustrated. A look of semi-disgust flashed across my face. I tried to make sure it didn’t show up in my voice, but I proceeded to tell McDonell I thought he should reconsider, that an expansion team hosting its first game against a struggling in-state rival wasn’t all that big a deal in NFL circles. Though McDonell, who still runs the magazine and its website, would enjoy a highly successful tenure, at the time I was worried that he had set himself up for ridicule only months after coming aboard. ”Don’t do this,” I pleaded. Sure enough, the Texans came away with a 19-10 victory, creating a sense of excitement that lasted all the way until the following Sunday, when they began a five-game losing streak en route to a 4-12 season. And really, if you think about it, that ostentatious but ultimately hollow opening-day triumph was so Texans. No NFL franchise has gotten its fans so hyped up for alleged landmark moments yet failed to provide a satisfying follow-through. In short, the Texans are pro football’s biggest tease. Still without a postseason appearance in eight seasons, Houston didn’t win more than two consecutive games until 2008. Though the Texans managed their first winning season (9-7) in ’09, they rallied only after a stretch of four consecutive defeats in November and early December had essentially killed their postseason hopes. 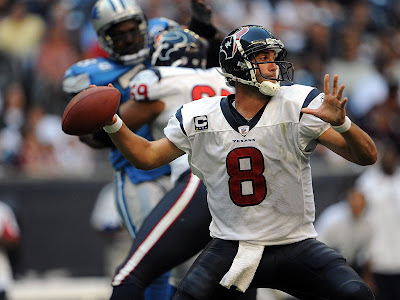 The reason I bring this up (besides wanting to give my ex-boss a laugh on an early autumn Friday) is that on Sunday, for the first time since quarterback David Carr led the home team to victory in the War For You Know What, the Texans will host the Cowboys in a regular season game. And this time, it really is meaningful, or at least it has the potential to be. You know the setup: Houston (2-0), riding a breakout performance from halfback Arian Foster, opened the season by beating the defending AFC champion Colts for the second time in 17 tries. 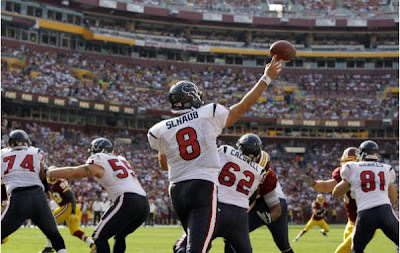 Last Sunday the Texans clawed back from a 17-point second-half road deficit to the Redskins and pulled out a 30-27 overtime victory, with quarterback Matt Schaub throwing for 497 yards. Meanwhile, the Cowboys (0-2), last year’s NFC East champions and this year’s Super Bowl hosts, lost to the Redskins and Bears and seem dangerously close to an Ari Gold-style meltdown. Something tells me that, given the obvious stakes, the Cowboys will come out more like evil clowns on Sunday and do everything they can to disturb the mood at Reliant Stadium. I believe this because, with apologies to Woodson, they’ve got to win this game. For the previous eight seasons, that opponent’s desperation would have been enough – the Texans, with a chance to step up to the big top, would have folded like a … wait for it … circus tent. I’m not convinced the Texans will do that now. I think they’ll bring their “A” game, too, and treat their fans to an entertaining showdown between in-state rivals rife with significance. It’ll be, you know, a War For Texas – and perhaps for something greater. New Orleans Saints cornerback Randall Gay will miss Sunday’s game against the Atlanta Falcons. Coach Sean Payton says Gay, who left the Saints’ victory at San Francisco on Monday night after taking a blow to the head, had an independent medical examination on Thursday and got another on Friday. Payton says Gay was not cleared and will undergo the same procedure next week. Tight end Jeremy Shockey bruised his quad on Thursday and did not practice, but Payton said he is listed as probable for Sunday’s game. Chaos has become the new normal for the Denver Broncos’ running game. Knowshon Moreno is out again after pulling his left hamstring during practice Thursday and Correll Buckhalter is expected to start in his place when the Broncos (1-1) face the Colts on Sunday. This is just the most recent injury for Moreno. The starting tailback pulled his right hamstring the opening day of training camp and didn’t return until Aug. 31, saving his on-field debut until the regular season. He has gained just 111 yards on 39 carries for a 2.8-yard average this season. Denver’s running game has been off to a dismal start overall. The team’s 77 yards per game ranks 27th and the Broncos are averaging just 2.4 yards on 63 rushing plays. Indianapolis (1-1) should see more of a three-headed approach to the run game by Denver, with Buckhalter and newcomers Laurence Maroney and Andre Brown likely to share the workload. Buckhalter, himself no stranger to injury, still may not be ready to pound it into the line 20 times. He hurt his neck and back in the first team drill of training camp and was sidelined for three weeks. Buckhalter played in the preseason finale and has 17 carries for 34 yards with a TD during the regular season. Maroney hasn’t even had two weeks to assimilate Denver’s playbook after his acquisition via trade from New England on Sept. 15. He didn’t even begin practicing with the Broncos until this week due to a thigh injury sustained in the Patriots’ final preseason game. But that transition has been eased by a Denver offense that’s similar to the one coach Josh McDaniels ran with Maroney in New England from 2006-08. 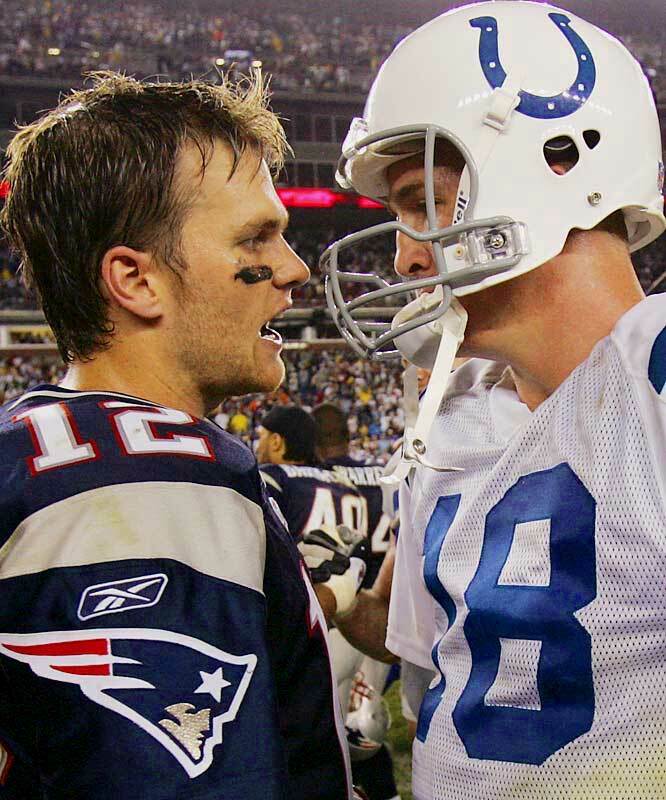 He’s also played the Colts four times, playoffs included. Brown has had an even more whirlwind journey to this point. 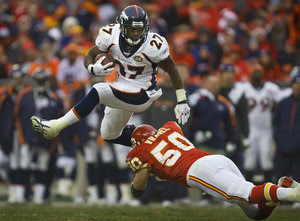 He was awarded to Denver off waivers on Sept. 5 after spending the preseason with the New York Giants. The Broncos waived him Sept. 15 with the intent of bringing him back on the practice squad, which they did two days later. But when Ryan Grant was lost for the season by the Green Bay Packers, they were going to sign Brown. Denver reacted by adding Brown to the active roster Tuesday. Not all of the Week Two Formula Results translate into perfect looking football scores but provide insight into the results nonetheless. Tampa Bay battled Carolina in a dead heat but emerged victorious--just as Cincinnati did with its division foe, Baltimore. Week 2 Game by Game Football ERA Formula Results show what a dominant performance Atlanta had over Arizona--and this was no fluke no matter how good or bad the opponent. The Falcons prepared throughout their practice week to execute their game plan to almost better than what they expected. It will be an interesting to see how well they match up to New Orleans if they stay healthy and continue to perform well on the field on both sides of the ball. Also note that when a losing team is not pushed into negative numbers, their performance is usually an indication of some measure of success in what was probably a competitive battle.